Dennis W. Carroll, the co-founder the Carolina Society for Paranormal Research and Investigation had his first encounter with demonology as a teenager in church. The preacher had brought up a troubled man and the whole congregation prayed for him. While everyone’s eyes were closed and the were praying furiously for the man’s soul, Dennis saw three balls of what he describes as “dirty light” flee from the man’s body and disappear into the sky. From that moment on, Dennis was a believer and has spent much of his life learning more about the invisible world of the supernatural and demonology. 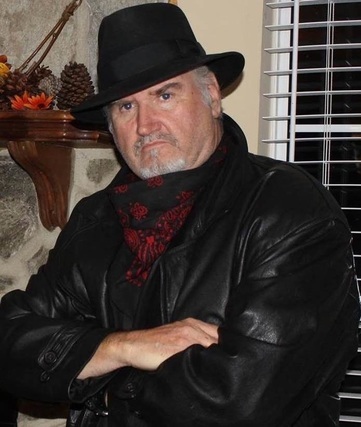 In addition to co-founding the CSPRI, he has also authored two books on investigation, Beyond The Shadows: A Field Guide to The Paranormal and The Road Unseen: A Paranormal Journey Into High Strangeness, as well as two collections of poetry influenced by his investigations, In Sunshine and In Shadow. 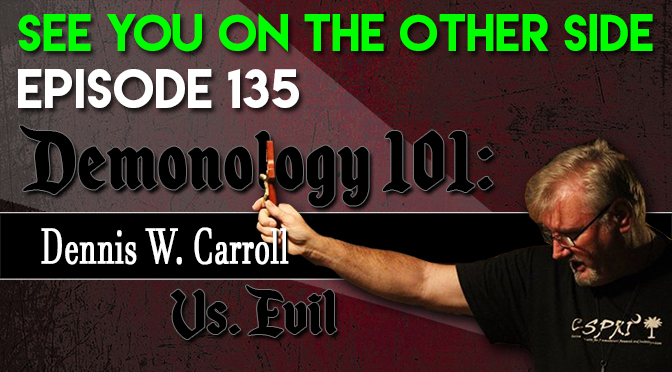 Dennis has been on hundreds of investigations over the years and he shares what he’s learned as not only a “location exorcist” (i.e., a guy that blesses houses and buildings to drive out any negative energy) but a demonologist who has fought powers that are conspiring to bring down the human race in what Carroll claims is a highly organized ring of evil. 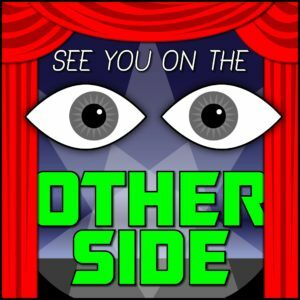 Also in this episode, we feature a quick preview of the latest feature from our friends at The Singular Fortean blog. It’s St, Patrick’s season so they’re featuring legends and folklore of The Emerald Isle all this month. One of the ways that Dennis talks about opening yourself to demonic possession is by focusing too much on your negative emotions and very few things make people as negative as a bad breakup. This week’s song is all about indulging in those negative emotions and allowing yourself to fully hate your ex. Which might be good for singing songs, but not so much for defending against infernal influences, it’s called “Eat Out My Heart”.